Looking for a change in any of these behaviors? * Chasing joggers, bicyclers, who will win? Be a benevolent dog owner and give your dog the parameters he needs to be a happy dog. 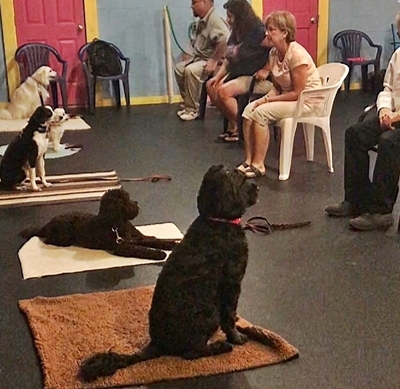 Dogs that go unchecked with behavior problems find themselves in a state of confusion. They are too often misunderstood as being a nuisance, aggressive, or willfully disobedient. Truth be told, the majority of dogs are eager to please. With obedience training, guidance and consistent leadership they flourish as loved members of their family. Give your dog the gift of communication and he will pay you back tenfold.